This year, a notable element is being added to the InVenture Prize competition: the Institute’s Center for Academic Enrichment (CAE) is launching the inaugural class of Innovation Fellows to help guide InVenture Prize semifinalist teams. Applications closed on Friday for current Master of Business Administration (MBA) students to become Innovation Fellows. Under this program, Innovation Fellows will be serve as mentors, providing competitors with firsthand help and advice from peers using their background experience with business management. Candidates for the program who serve as mentors will be offered a $750 stipend from the College of Engineering to aid InVenture teams on a regular basis. With the beginning of a new semester, the eleventh annual InVenture Prize competition has already begun its initial rounds. The preliminary round of the contest was conducted on Jan. 24 in the Student Center Ballroom, and it was here that students were able to pitch their inventions to judges for an initial scoring. For those unfamiliar with the premise of the InVenture Prize, undergraduate students compete with their inventions or startups in various rounds of evaluation by expert judges. Grand prizes range from $5,000 to $20,000, as well as aid with patent filings and potential participation in Create-X’s Startup Launch program. Specifically, fellows will aid InVenture Prize semifinalists in the creation of profitable plans through which the students can continue to develop their companies’ ideas and goals. Improving these pitches will give them better shots at impressing the judges leading up to the final rounds of evaluation. Adding Innovation Fellows to help semifinalist teams indicates the CAE actively expanding resources its provides to teams progressing through the competition. 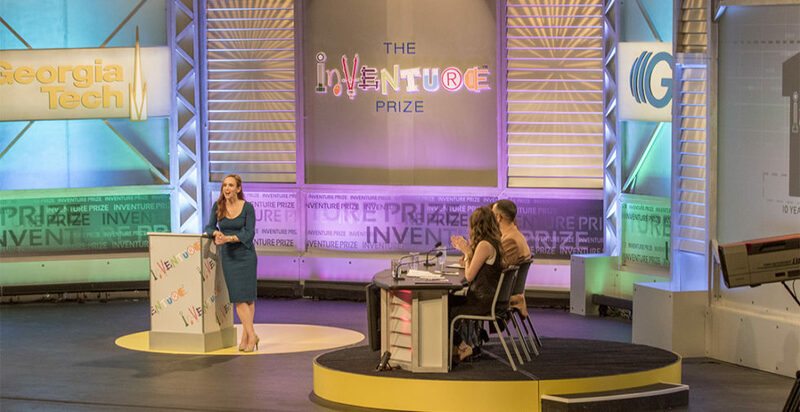 The final round of the InVenture Prize competition will occur on March 13 at 7:30 p.m. in the Ferst Center Theatre and will be broadcast live on the Georgia Public Broadcasting Channel.